Windrush generation: Who are they and why are they facing problems? 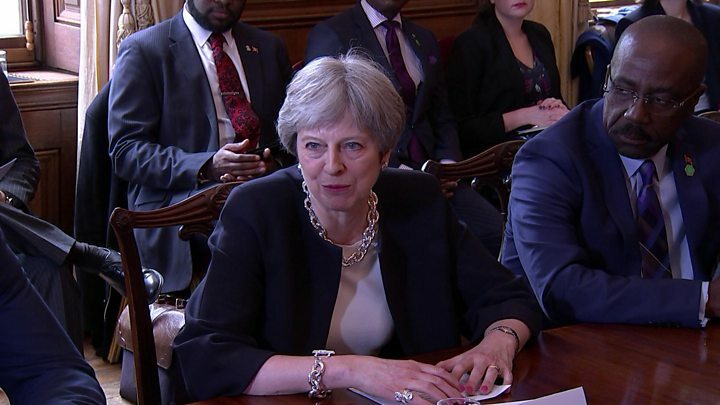 Prime Minister Theresa May has apologised to Caribbean leaders over deportation threats made to the children of Commonwealth citizens, who despite living and working in the UK for decades, have been told they are living here illegally because of a lack of official paperwork. Who are the "Windrush generation"? Those arriving in the UK between 1948 and 1971 from Caribbean countries have been labelled the Windrush generation. This is a reference to the ship MV Empire Windrush, which arrived at Tilbury Docks, Essex, on 22 June 1948, bringing workers from Jamaica, Trinidad and Tobago and other islands, as a response to post-war labour shortages in the UK. The ship carried 492 passengers - many of them children. 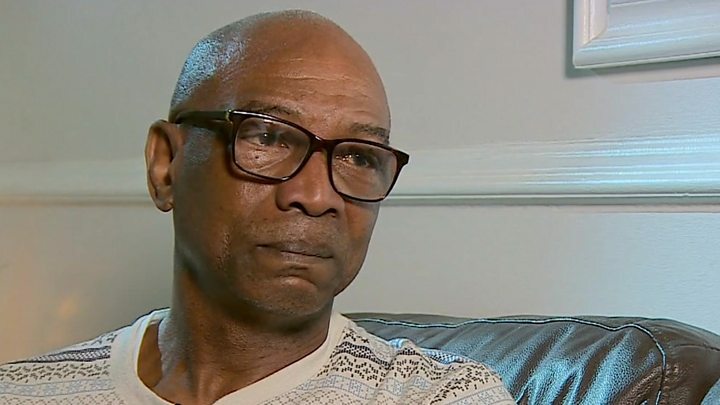 It is unclear how many people belong to the Windrush generation, since many of those who arrived as children travelled on parents' passports and never applied for travel documents - but they are thought to be in their thousands. There are now 500,000 people resident in the UK who were born in a Commonwealth country and arrived before 1971 - including the Windrush arrivals - according to estimates by Oxford University's Migration Observatory. The influx ended with the 1971 Immigration Act, when Commonwealth citizens already living in the UK were given indefinite leave to remain. After this, a British passport-holder born overseas could only settle in the UK if they firstly had a work permit and, secondly, could prove that a parent or grandparent had been born in the UK. Many of the arrivals became manual workers, cleaners, drivers and nurses - and some broke new ground in representing black Britons in society. 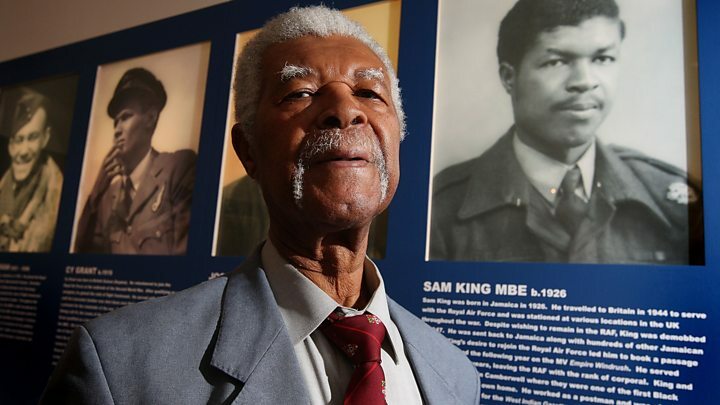 The Jamaican-British campaigner Sam Beaver King, who died in 2016 aged 90, arrived at Tilbury Docks in his 20s before finding work as a postman. Media captionWhat was life like for first-generation Windrush migrants? He later became the first black Mayor of Southwark in London. The Labour MP David Lammy, whose parents arrived in the UK from Guyana, describes himself as a "proud son of the Windrush". I am campaigning for an amnesty but in reality it would not be an amnesty because that word implies wrongdoing. These people have done nothing wrong. Govt must simply do the right thing, establish a humane route to clarifying their status in this country & change burden of proof. The Home Office did not keep a record of those granted leave to remain or issue any paperwork confirming it - meaning it is difficult for Windrush arrivals to prove they are in the UK legally. And in 2010, landing cards belonging to Windrush migrants were destroyed by the Home Office. Because they came from British colonies that had not achieved independence, they believed they were British citizens. Reality Check: How do you prove you've been living in the UK? International Development Secretary Penny Mordaunt said there was "absolutely no question" of the Windrush generation's right to remain. She told BBC Radio 4's Today programme: "People should not be concerned about this - they have the right to stay and we should be reassuring them of that." Mrs May's spokesman said the prime minister was clear that "no-one with the right to be here will be made to leave". Why are they facing problems? Those who lack documents are now being told they need evidence to continue working, get treatment from the NHS - or even to remain in the UK. Changes to immigration law in 2012, which require people to have documentation to work, rent a property or access benefits, including healthcare, have left people fearful about their status. The BBC has learned of a number of cases where people have been affected. Sonia Williams, who came to the UK from Barbados in 1975, aged 13, said she had her driving licence withdrawn and lost her job when she was told she did not have indefinite leave to remain. "I came here as a minor to join my mum, dad, sister and brother," she told BBC Two's Newsnight. "I wasn't just coming on holiday." Paulette Wilson, 61, who came to Britain from Jamaica aged 10 in the late 1960s, said she received a letter saying she was in the country illegally. "I just didn't understand it and I kept it away from my daughter for about two weeks, walking around in a daze thinking 'why am I illegal?'" In her apology, Mrs May insisted the government was not "clamping down" on Commonwealth citizens, particularly those from the Caribbean. The government is creating a task force to help applicants demonstrate they are entitled to work in the UK. It aims to resolve cases within two weeks of evidence being provided. Announcing the move, Home Secretary Amber Rudd apologised for the "appalling" way the Windrush generation had been treated. She told MPs the Home Office had "become too concerned with policy and strategy - and loses sight of the individual". Delegates at this week's Commonwealth heads of government meeting in London are to discuss the situation. What about other Commonwealth arrivals? Not everybody who arrived in the UK during the period faced such problems. Children's TV presenter Floella Benjamin, who was born in Trinidad, said: "I could so easily be one of the Windrush children who are now asked to leave but I came to Britain as a child without my parents on a British passport." Baroness Benjamin, 68, moved to Beckenham, Kent, in 1960. "Before 1973 many Caribbean kids came to Britain on their parents' passport and not their own. That's why many of these cases are coming to light," she said. How is the campaign progressing? More than 160,000 people have signed a petition calling on the government to grant an amnesty to anyone who arrived in the UK as a minor between 1948 and 1971. Its creator, the activist Patrick Vernon, calls on the government to stop all deportations, change the burden of proof, and provide compensation for "loss and hurt". Mr Vernon, whose parents migrated to the UK from Jamaica in the 1950s, called for "justice for tens of thousands of individuals who have worked hard, paid their taxes and raised children and grandchildren and who see Britain as their home." However, some people have objected to the word "amnesty" - saying it implies the Windrush generation were not legally entitled to live in the UK in the first place. How is the Windrush celebrated? Events are held annually to commemorate the Windrush's arrival 70 years ago, and the subsequent wave of immigration from Caribbean countries. A model of the ship featured in the opening ceremony for the London 2012 Olympic Games, while the lead-up to Windrush Day on 22 June is being marked with exhibitions, church services and cultural events. They include works by photographer Harry Jacobs, who took portraits of Caribbean families coming to London in the 1950s, which are being exhibited in Brixton, south-east London. 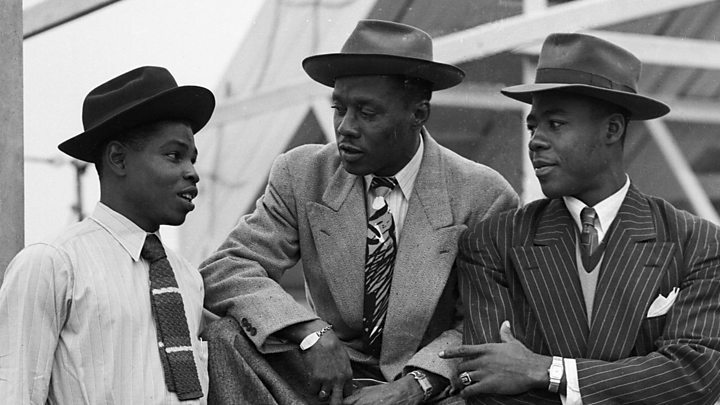 Video What was life like for first-generation Windrush migrants?